The most common rats that we come across are the Roof rat (black rat, ship rat, house rat), and the Norway rat (brown rat). Roof rats are usually smaller, their average size is about 7-8 inches long with a tail almost in equal length. The Norway rat is larger, slightly longer, with a larger body and can weigh up to a pound. Norway rats are seen more in northern states and more likely to live at ground level. Both of these rats have terrible eyesight, but an excellent sense of hearing, smell and can climb almost any surface. These rodents are somewhat known for their dependence on humans. They will frequently live in homes or other buildings, such as attics or sometimes basements. There is a higher risk of infestation if these buildings contain or are near food sources. Rats and mice tend to feed on human food stores, and commonly contaminate even what they do not eat. Even seeing these rodents in a yard or outside is a possible alarm for risk, especially if the area is frequently used by pets or children. Rats and mice chew on almost anything that they can get their teeth into, including electrical wires, ductwork, dry-wall, PVC, and plumbing. This can cause fire hazards and sometimes water leaks. Rats are not particularly attracted to electrical wiring, which is a common question wildlife expert get asked. Rats and mice need to file their teeth, and without filing them their teeth grow inward. Eventually, this causes extreme difficulty to eat, resulting in starvation and death. Rats can cause significant damage to insulation once an infestation begins. They will urinate and defecate throughout the insulation, leaving their infamous scent and the risk of disease. There are as many as a dozen diseases linked to rats according to the Center for Disease Control, and over thirty different types of diseases associated with rat droppings. Once an infestation begins, so does reproduction. A pair of rats can produce hundreds of descendants if left ignored. Reproduction during an infestation causes the risk of disease to increase dramatically. The building/home is clean. Why are rats/mice here? Why do rats/mice eat wires? Rodents do not necessarily have a preferred taste for wires. Rats/mice need to chew. Their teeth continually grow and without filing them their teeth grow inward, eventually blocking their throat and ability to swallow and eat. 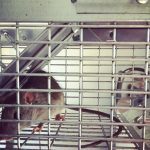 Are the diseases rats carry harmful to humans? Yes. The Center for Disease Control lists about a dozen diseases directly associated with rats. Rat-bite fever: (Streptobacillus moniliformis bacteria) Transferred from the bite of a rat. Hantavirus: Can cause feverish illness in humans, respiratory issues, and sometimes kidney or blood ailments. Eosinophilic Meningitis: An infection of the brain caused by rat lung worm.